Overhead. It’s a challenge facing employers and employees. For many businesses, labor cost is the single greatest overhead expense. Unfortunately, many employers try cutting corners that they should not, in particular in the area of overtime wages. The Fair Labor Standards Act (or FLSA) is a federal labor law that requires employers to pay overtime compensation (at time-and-a-half) to employees who are not exempt under the Act for all hours worked over a prescribed threshold period (typically, 40 hours per week). Most employees are non-exempt, meaning that they are entitled to overtime pay. The most common exceptions to this rule involve some administrative, executive and professional employees, computer professionals, outside sales employees, and certain retail employees. Liability exists under the FLSA even for unintentional violations. But what if a business only employs a few people? Is the business exempt from paying overtime? The answer is no. Unlike many other federal laws, the FSLA does not depend upon the number of persons employed. Instead, the FLSA covers businesses engaged in commerce or in the production of goods for commerce (i.e., handling, selling, or otherwise working, on goods or materials that have been moved in or produced for commerce). The FLSA’s coverage is very broad, and the courts typically interpret it that way. But what about salaried managers and individuals that have really important sounding, executive job titles? Are they exempt? If the manager’s/executive’s salary is less than $100,000.00, then the inquiry typically focuses on the nature of the job and how the employee performs it. For example, if the employee cannot hire or fire other employees, or does not regularly direct the work of at least 2 employees, overtime must usually be paid. But what about salaried employees? Does overtime get factored into their pay? The answer is typically yes, in most instances overtime is still required. 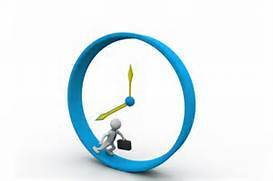 Is it acceptable for an employer to get around overtime by allowing the employee to volunteer their time? No. The FLSA does not recognize “voluntary unpaid overtime” or “donated time” as legitimate exceptions to avoid paying overtime. What about a signed, written agreement with the employee waiving any claim they might have to overtime? Is that acceptable? Under the FLSA, such agreements are null, void and completely unenforceable. Is comp time an acceptable alternative to paying overtime? For a governmental employer, probably so. In the private sector, comp time is generally not permissible. It should be noted that a private employer may adjust an employee’s schedule within the same week to ensure that their total hours worked do not exceed 40 hours. However, overtime hours may not be averaged out over a longer period of time except in exceedingly narrow cases of certain employees of residential care facilities. Otherwise, any overtime worked within a workweek must be paid for that workweek. Is overtime required to be paid to an independent contractor? If a worker is truly an independent contractor, then overtime may be avoided. The problem is that too often employers get cute, slap an independent contractor label on the worker, but then treat them as if they are employees. If workers are truly employees, regardless of the title they hold, and if they work more than 40 hours in a workweek, the employer must pay the worker overtime pay if they do not qualify for an overtime exemption. There is no way to contract around that. There is no piece of paper and no amount of explanation that will overcome the finding of an employment relationship if the Department of Labor or the IRS, or a state employment security agency, determines that an employer/employee relationship exists. For this reason, employers must be very familiar with the various tests for determining whether a worker is an employee or an independent contractor. The controlling factor is whether the employer controls the details of how the person’s services are performed. At the end of the day, uncertainly under the FLSA can cause serious problems. Court’s may award an affected employee damages, including unpaid base wages, overtime pay (at time-and-a-half), liquidated damages of an amount equal to all of the employee’s unpaid wages and overtime pay, attorney’s fees, and court costs. So for both employers and employees, care should be taken to make sure that the FLSA is followed and overtime is paid where required.